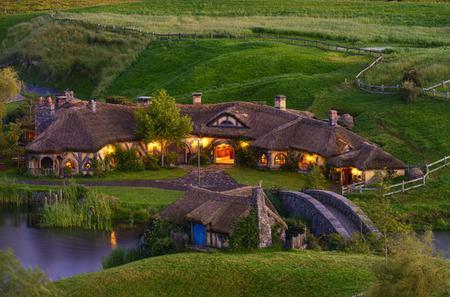 Enter the magical world of the 'Shire' and Middle Earth on a day-long Lord of the Rings tour of Hobbiton. Enter the magical world of the 'Shire' and Middle Earth on a day-long Lord of the Rings tour of Hobbiton. 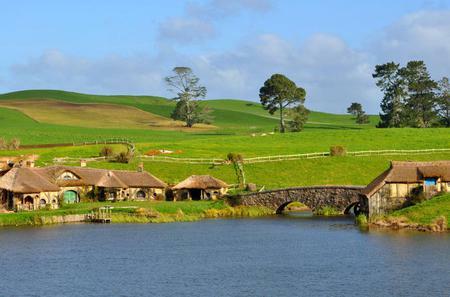 See the movie sets where the LOTR and The Hobbit trilogies were shot, created with stunning attention to detail. 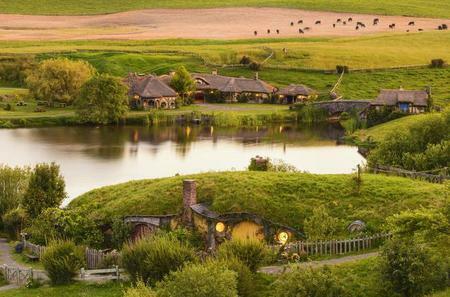 Identify landmarks such as the party tree, the pond, the mill, the double-arch bridge, Bagshot Row, Bilbo Baggins’ Bag End home and the 44 Hobbit holes. 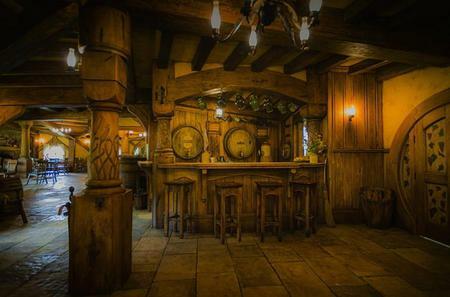 The Green Dragon Inn is a full-fledged pub where you can drop by for a quick bite and an ale. 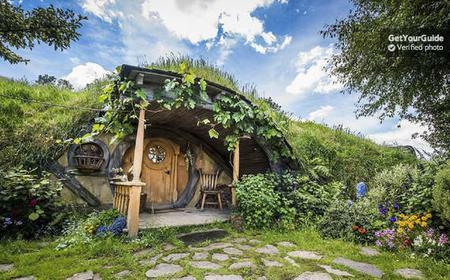 Hobbiton is a 2 hour drive south from Auckland, through New Zealand’s idyllic countryside, past Bombay Hills, the green pastures of Waikato, and the sheep farms of Matamata. 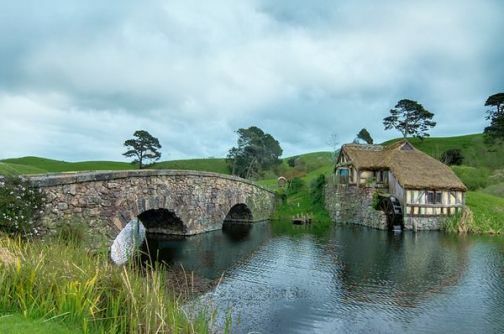 Tolkien tourists can get all the insider details and trivia about the filming of the movies, including how the Alexander family farm was transformed into the Shire over the course of a year. 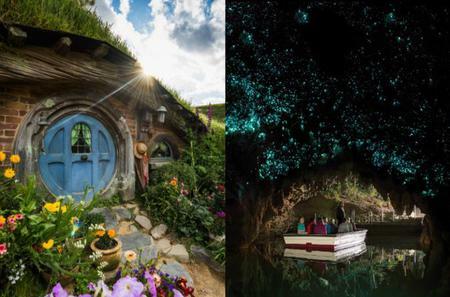 The meticulously crafted sets offer tons of photo-opportunities, and you can explore the area around the lake. 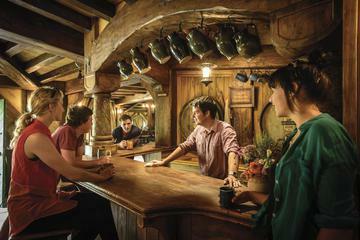 Enjoy a sumptuous kiwi lunch at The Shire’s Rest Café before returning to Auckland or proceeding further. 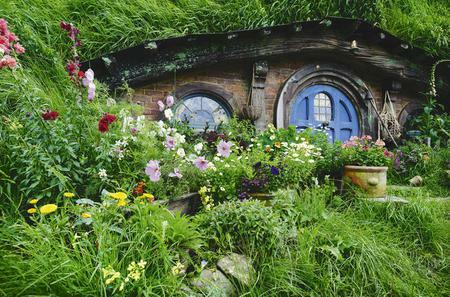 The beautiful landscape makes it the perfect setting for a surreal world. 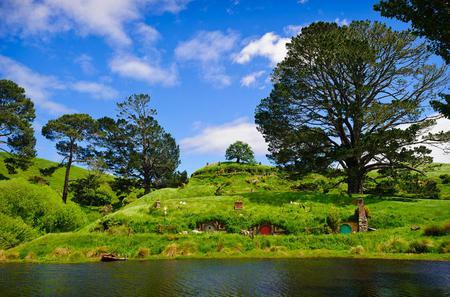 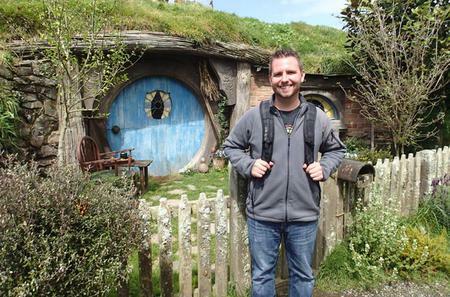 For tours from Wellington, check out our offerings on Lord of the Rings Tours. 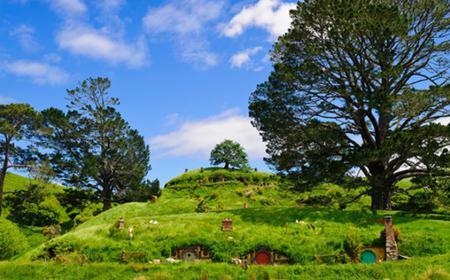 For Glenorchy tours from Queenstown, check out our offerings on Lord of the Rings - Glenorchy.